More than likely, you have known Bovada longer than you think you do. The site operated as the Canadian franchise of the popular betting brand Bodog during this period. However, because of various circumstances, the Kahnawake based Morris Mohawk Gaming Group announced in 2011 that it was ending its contract with Bodog, and would instead operate under the brand Bovada. That transitioning saw all players being re-routed to the new Bovada site, which more or less looks and feels like the old Bodog site. The operator offers sportsbetting, casino games, and poker services to players throughout the world, and is famously friendly to US action. But what makes Bovada such a special place to have a flutter? Is it the excellent lines, fast service, or great games that sets this site apart from the other sites you can wager at? When taking a look at Bovada’s mobile site, it is easy to see just how special this place is. 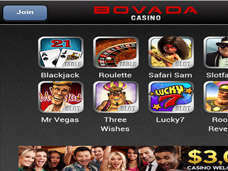 When looking towards Bovada’s mobile offering, you will notice that there is actually no downloadable app to utilize. 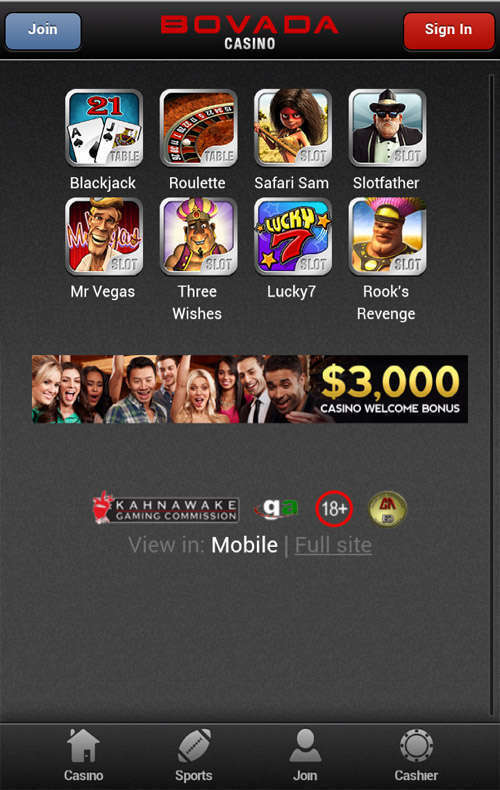 Instead, the site offers a betting interface through a mobile web presence. Those worried that such a site will skimp on features should rest assured that the software is tailored specifically for your mobile device. You will not be getting the BetSoft powered casino games in this site, nor will you have access to a downloadable poker client, but those looking for US friendly mobile sportsbetting likely will not be able to do any better. Bovada’s optimized mobile site is gray on black, with the home screen presenting various popular sports to wager on. 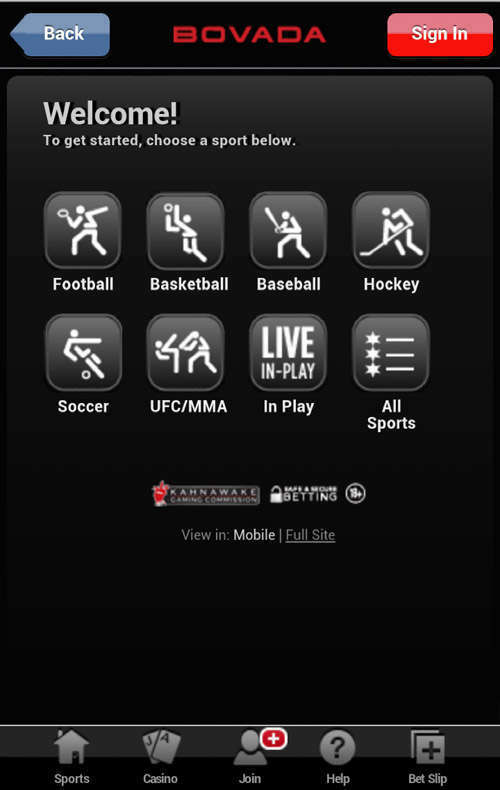 These include: Basketball, Baseball, Hockey, Soccer, UFC/MMA, Horse Racing, Live/In Play Bets, and an All Sports option. It is likely that as fall pops around that sections such as Football will make their way into the menu bar. The bottom menu bar offers a Home, Help, My Account, My Bets, and Bet Slip sections. Delving into the various sports will give you an easily clickable menu of various types of bets. As an example, I clicked into the hockey section and was presented with the following types of bets: NHL Hockey Lines, NHL Hockey In Play, International Hockey, and Hockey Futures. Inside all of those sections are the individual bets that you can directly bet on. Placing your bet through the Bovada mobile site is very easy. When making a bet, you click the wager you want to make, enter in the amount you want to wager, and select “place wager”. If straight bets aren’t your thing, parlays are also available. A feature that makes Bovada competitive with the great European sportsbooks is the “Live Bet” section of the mobile site. In this option, punters can wager on games or matches that are currently in progress. If this is confusing to you, look at it like this: You are watching a baseball game, and the pitcher is getting set to face the hot batter. Live betting would pop up before that batter and allow you to bet on the result of the next at bat. You can wager on strike out, walk, hit, or other. This adds a lot of flavor to the betting experience, and is a feature that translates very well to mobile devices. 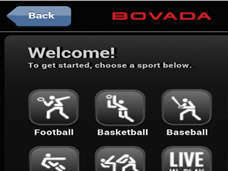 Although it was not initially a feature of the mobile site, Bovada has wisely chosen to add in a cashier option. The site allows you to deposit via your credit card through the app, with the balance being instantly credited to your account. While the limitation of the deposit options through the mobile site may seem like a shame at first, it really isn’t a bad option. If funding your account through other means is a game breaker for you, you should likely make sure that you do so before going out on the town. If depositing on a PC, your choices are: Visa, Money Transfer, and Rapid Transfer. Withdrawals are in a similar boat to the alternative banking options. You simply cannot process a withdrawal through Bovada’s mobile site, and while that is a bit of a disappointment, we can live with it until we get back to a PC in order to process that request. When you do get to a PC, you will notice that withdrawal options include Check, Money Transfer, and Rapid Transfer. The help button is a bit more of a disappointment, with the site offering an email address and phone number that can be called if you are having issues. We are big fans of live support, and we really wish we could have seen this implemented into the mobile offering. Perhaps if the firm makes a downloadable app in the future we will see this integrated in. 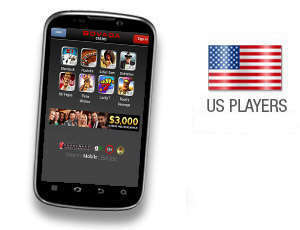 Overall, Bovada is a great mobile betting site for your Android device. While we wish that Bovada would implement a dedicated downloadable app, the mobile site is more than friendly towards the Droid DNA smart phone that we tested it on. If you are looking for an established betting provider that has excellent lines, in play betting, and a good mobile banking system and is open to US players we definitely think that won’d do better than Bovada.